Modern and eye catching, the Lincoln Save the Date is Yuling's take on paper goods for a formal wedding. The graphic black and white piece with an elegant floral motif is sure to set the tone for your event. The piece is flat printed single-sided with white ink on premium black cover stock with a smooth finish. 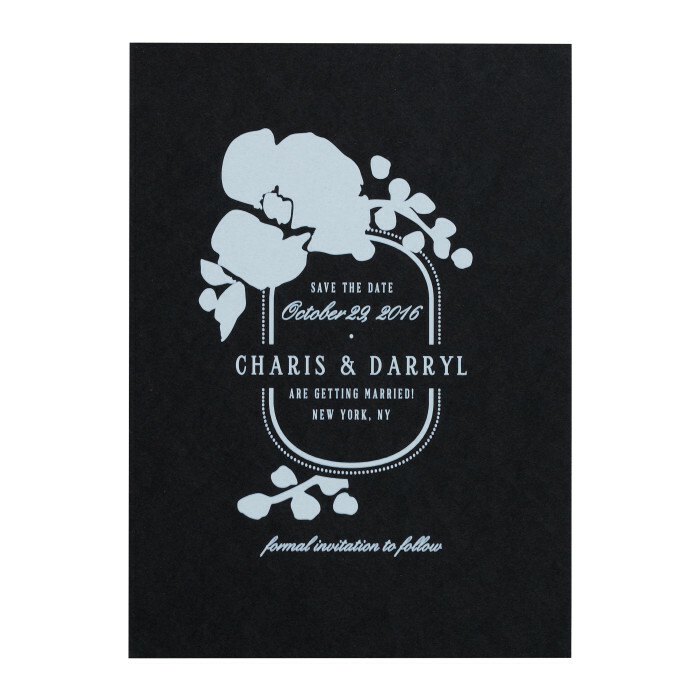 $867 for 100 one-color letterpress printed, or $572 for 100 white ink flat printed Save the Dates.